Men's Ralph Lauren Corduroy Pants Only $14.99! Down From $95.00! Ships FREE! You are here: Home / Great Deals / Men’s Ralph Lauren Corduroy Pants Only $14.99! Down From $95.00! Ships FREE! Men’s Ralph Lauren Corduroy Pants Only $14.99! Down From $95.00! Ships FREE! 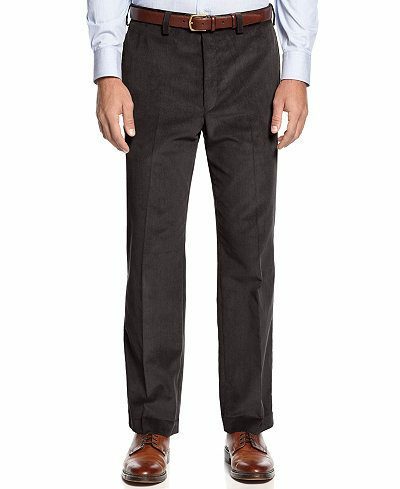 Macy has these Men’s Ralph Lauren Corduroy Pants on sale for $19.99 (Reg. $95.00) but you can get them for only $14.99 when you use promo code FRIEND (25% off + FREE shipping) at checkout through 5/2! Basic corduroys from Lauren by Ralph Lauren feature a classic-fit and flat-front design, making this the perfect companion for a business meeting or dinner with the boys.